» Introducing our NEW SATURDAY PROGRAM for 3-7 yr. olds! 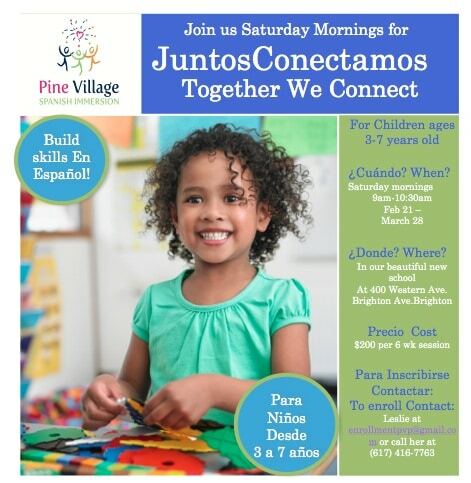 Juntos Conectamos is a program designed to support the social/emotional health and development of children in our fabulous full Spanish Immersion setting. The program goals center on building Spanish language skills, team building skills, conflict resolution and fostering healthy peer relationships all in a fun and engaging interactive environment. Children should have minimal to moderate prior Spanish exposure to feel comfortable during this short-term class. Cost is $200 for the 6-week session. Register at http://bit.ly/PVPSaturdays by Friday, February 13, 2015. For questions, please contact us at enrollmentpvp@gmail.com. 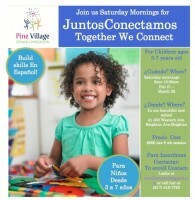 I have noticed that you are advertising the Saturday morning Spanish class on GardenMoms website. I am very interested in the class for my 5 and 7 year old, but I have a few questions. 1. They do not speak any spanish (counting, hello only), would this class be appropriate for them? 2. We cannot take this class until late May early June, will you be offering a similar class then?